This new development will be located in a beautiful residential area of villas close to many amenities such as schools, public transport, shops, restaurants as well as sports centers. 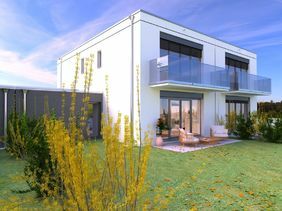 Built with quality materials, these villas with a resolutely contemporary architecture will offer beautiful clear and spacious spaces and will be of "high energy performance" design. With a useful surface of approximately 214 m2 distributed on three levels, having on the ground floor a kitchen opened on the dining room and the living room opening on the terrace and the garden. 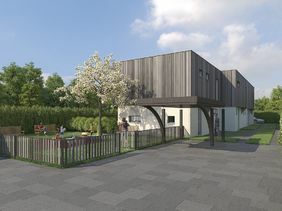 The first floor will have three bedrooms, a bathroom and a shower room. The basement will offer a games room, a shower room, laundry room with technical space-boiler room and a cellar. In a green setting, this residential complex enjoys a privileged location with a wide range of facilities, such as shops, schools, sports centers and restaurants, all within easy reach on foot and by public transport. Ideally located between town and countryside, close to the center and main roads and for lovers of nature, beautiful possibilities for walks along the Seymaz or Foron. 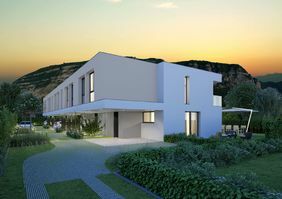 Located in the dynamic Commune of Thônex, this new promotion will offer six villas of five rooms each plus the basement, spread over three levels. Located in one of the most beautiful residential areas of Veyrier, between the plateau Pinchat and Vessy, in a quiet and protected, this group of five villas enjoys a privileged environment with its secure access through a gate. All shops are in immediate proximity with the center of Carouge and La Praille less than 10 minutes away. The region offers many pleasures for walks, sporting activities and cultural outings, not to mention the list of the best restaurants in Geneva it offers. The primary schools of Promenades and Jacques-Dalphin, Drize and Pinchat colleges, the University of Batelle and the High School of Management are 6 minutes by car or 3 bus stops.